Volunteers from all over the world have helped with planting within the reserve. 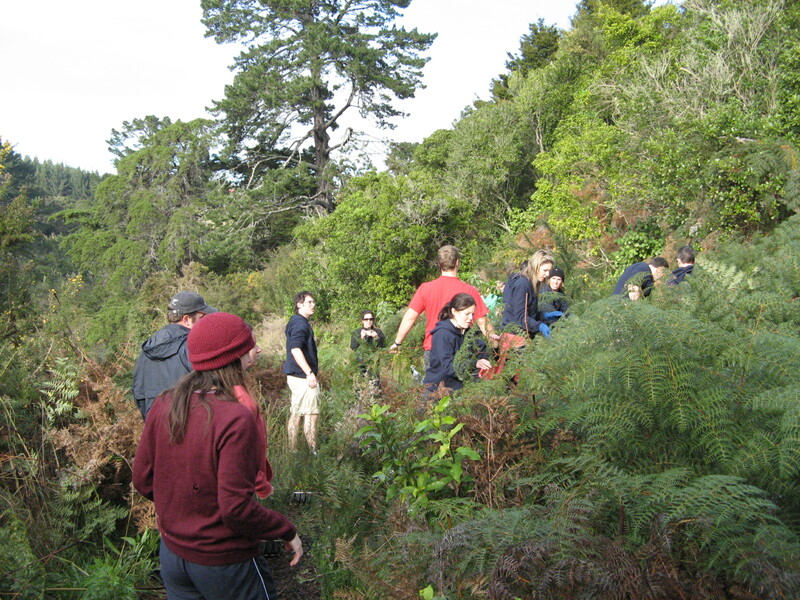 A group of volunteers from a Rotary Youth from Germany helped plant a steep section in head high bracket. Their first job was to pull the fronds out to make a gap for the young plants. A tiring task as the removed fronds needed to be placed where no further planting as envisaged that day.